The No-Nonsense Guide To Teenage Bodybuilding! 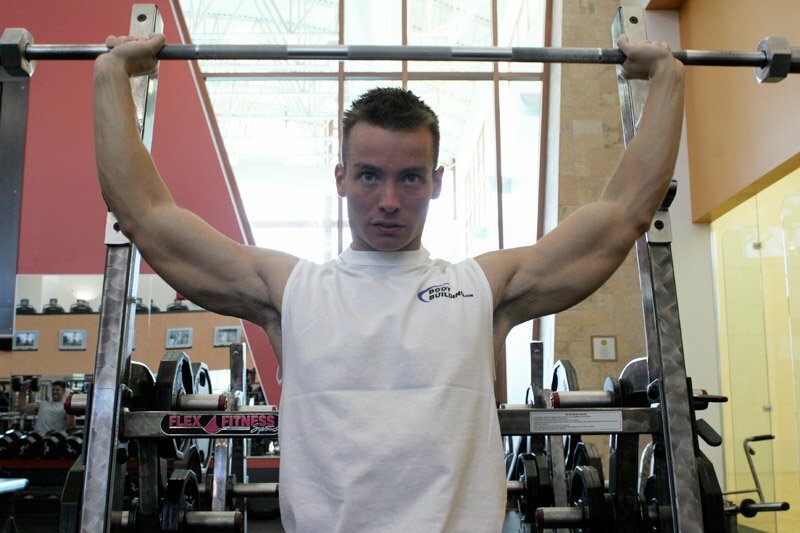 Should a teen bodybuilder over think their training? Stop wasting time trying to find the perfect ratio while overlooking the big picture: consistency! Use these straight-to-the-point guidelines you can implement today! Consistency is the key to making progress. You should focus on your diet & training before supplementation. The goal for each workout is to do better than the previous workout. I remember when I first got serious about bodybuilding nine years ago; I wanted to read everything I could about nutrition and training theories. I was always trying to setup the perfect diet and training program. Looking back I realize that I wasted a ton of time overanalyzing and over thinking, trying to find the perfect ratio of protein, carbs, and fat and training program while overlooking the big picture: consistency! 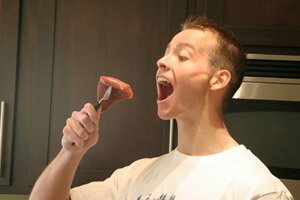 In this article I will go over the fundamentals of diet, training, and supplementation for the teenage bodybuilder. No filler information here, just straight to the point guidelines you can implement today! Your diet does not have to be complicated! 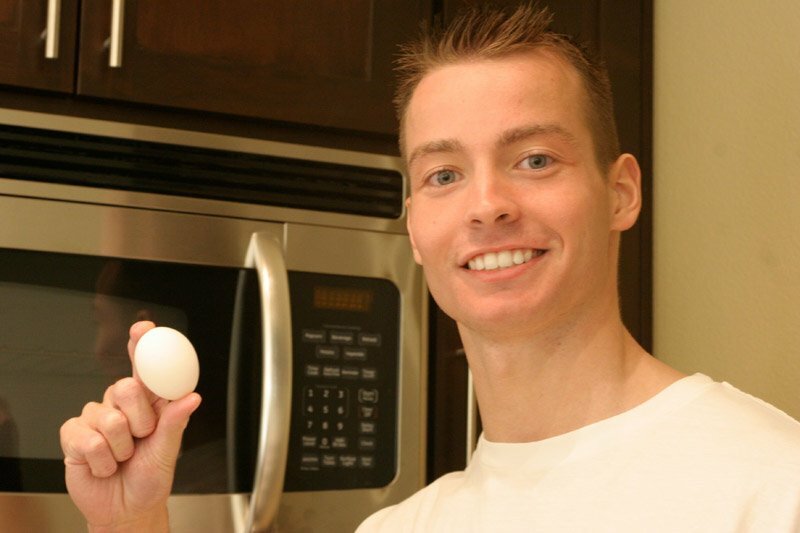 The number one thing that often frustrates young bodybuilders is sticking to a complex diet. I will outline an easy way to set up your diet. Throughout this article we will use the example of someone weighing 150 lbs. We will use your maintenance calories as your starting caloric intake. A 150 lb bodybuilder should start out at 2250 calories. This Protein Should Come From Lean Protein Sources. , whole eggs (also a great source of protein), and avocados. Eggs Are A Great Source Of Fats & Protein. For your carb distribution I recommend eating the majority of your carbs around your workout. When you work you deplete muscle glycogen (stored carbohydrates). Post-workout your muscles ability to uptake carbs is increased, making it the perfect time to eat carbs. Good carb sources include oatmeal, sweet potatoes/yams, brown rice, whole wheat products, fruits, and vegetables. Check out this video where Jamie Eason teaches you the importance of post-workout nutrition! Now that we have this info it is time to lay out a diet plan. The above is a healthy, easy to follow diet for a teenage bodybuilder. here at Bodybuilding.com for about $30. This is a great investment! Like the Accu-Measure Fitness 2000 Personal Body Fat Tester, the FatTrack Digital Body Fat Caliper enables a user to measure (AND TRACK) body fat % by oneself - easily and accurately. It also includes a free MyoTape Body Tape Measurer. Now that you have the nutrition bases covered its time to set up your training program. Consistency! That is the key to making progress. You can gain muscle on pretty much any training program as long as you are consistent with your workouts. The goal for each and every workout is to do better than the previous workout. You should always strive to lift heavier weights and to complete more reps. As a young bodybuilder I HIGHLY recommend focusing on increasing your strength on the primary compound exercises. Click Here For A Printable Log Of Monday: Upper Body. Click Here For A Printable Log Of Tuesday: Lower Body. Click Here For A Printable Log Of Thursday: Upper Body. Click Here For A Printable Log Of Friday: Lower Body. Alternate sets of the exercises with the same number. For example, do a set of bench press, rest 60-90 seconds, do a set of bent over row, repeat. This program focuses on the basic compound movements. As your strength increases on these movements so will your overall muscle mass. At this stage in your development there is no need to do 20 sets of isolation exercises for each muscle group. Stick to the basic compound movements. Stick To Basic Compound Movements. For cardio I recommend either 20 minutes pre or post weight training OR 30 minutes on your off days. 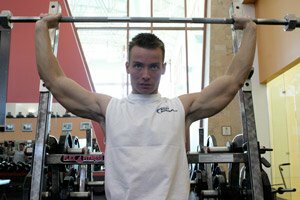 Now that you have a training program let's go over some supplements for teenage bodybuilders. There is no need to get fancy with supplements. As a teenager you should focus on your diet and training program. Once you have BOTH your diet and training down then you can begin to add in supplements. There are three supplements that I consider "the basics" which will benefit teenage bodybuilders: a multivitamin, whey protein, and fish oil. 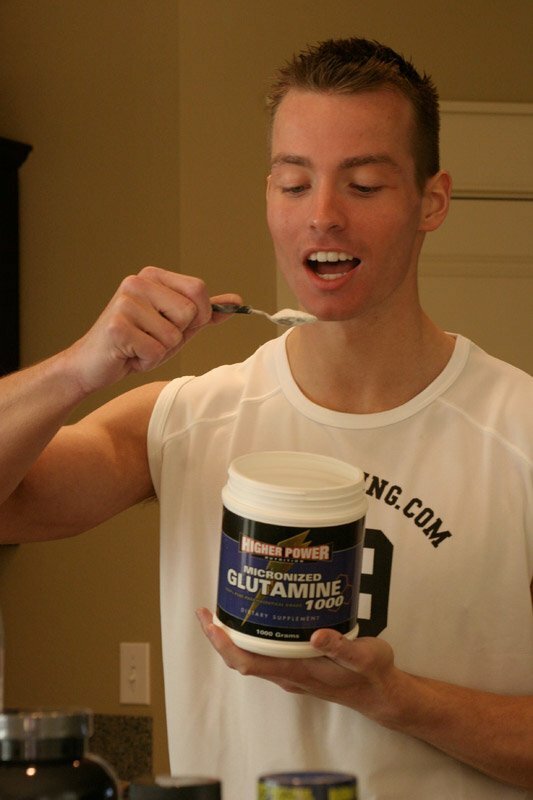 Besides those three supplements, creatine and glutamine may also be beneficial. Let's go over those supplements.
. While it is possible to get all the vitamins and minerals you need from diet alone, this does not always happen. By taking a multivitamin you ensure your body gets all the vitamins and minerals you need.
. While it takes 2+ hours to digest and absorb protein from whole foods, whey protein is digested and absorbed in under an hour. This property makes whey protein ideal for your pre and post workout nutrition needs. Whey protein can also be used at any other time of the day to meet your protein requirement. Out of the many protein sources out there, whey protein is the ultimate. During the process of turning milk into cheese, whey protein is separated out. fatty acids, specifically eicosapentaenoic acid (EPA) and docosahexaenoic acid (DHA). EPA and DHA have been shown to improve body composition and overall health along with many other benefits. These fatty acids must be obtained from your diet. Most people's diet lack omega-3 fatty acids, so supplementing with fish oil ensures you get adequate omega-3 fatty acids in your diet. The recommended dosage for EPA is 500-2000mg per day. Fish oils are derived from the fat of deep-sea, cold water fish and are a natural source of Omega-3 Essential Fatty Acids (EFAs). is the most popular and commonly used sports supplement available today. There are numerous studies backed by anecdotal evidence that support the efficacy of creatine supplementation. Creatine monohydrate, a metabolite of the amino acids methionine, arginine, and glycine, is produced in the liver, kidneys and pancreas. The largest reserves of creatine in the body are found in skeletal muscle. Muscle fatigue during short-term maximal exercise has been associated with a temporary depletion of phosphocreatine. Phosphocreatine functions as a unique high-energy phosphate that recycles ATP, which is essential for generating energy for muscle contraction and relaxation. [ Click here to learn more. ] Spotlight On Creatine! The following reviews cover creatine, ribose and more. Learn more from this descriptive review about great products such as SIZEON, Ribose, and more! Numerous studies have demonstrated that supplementing with creatine monohydrate will boost muscle stores of creatine and phosphocreatine. This in turn, affects muscle cell volume (larger muscle size), provides greater energy reserves and increases strength. To put it simple, creatine gives the body explosive energy to perform short-term, high intensity, high power output exercise. Recommended dosing is 3-5g per day. A loading phase can be done to saturate cells faster by doing 5g serving 4-5 times per day (NOT ALL AT ONCE) for 5 days then 3-5g per day for the remaining of the cycle. It is common to cycle creatine, using it for 8-12 weeks followed by 4 weeks off of creatine. is a glucogenic (glucose creating) , nonessential amino acid that has multiple roles in the body. Glutamine is synthesized mainly in skeletal muscle and the liver and acts as a "nitrogen shuttle" between organs, a fuel for cells of the immune system and intestines, and a precursor for nucleotide synthesis. 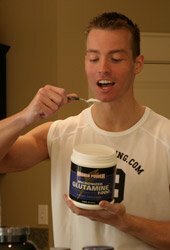 The popular amino acid L-Glutamine can be found in protein powders, beans, meats, fish, poultry, dairy products, and L-Glutamine supplements. In this article we have gone over diet, training, and supplementation for the teenage bodybuilder. We took a No-Nonsense approach and laid out everything you need to know to get started and make progress. Now that you have the knowledge it is time to put it to use! If you have any questions feel free to contact me at Derek@scivation.com.